The Sterilite supply box is a school supply box that can hold more items. Often used as a large pencil box, this plastic school supply box can hold much more than just pencils. Use the Sterilite supply box to hold small notebooks or multiple crayon boxes. The organization options for this large pencil box (also called Sterilite 1729) are endless. Use a large plastic school box to hold small craft items. This large pencil box has a clear base with a transparent blue lid which makes finding items much easier. The Sterilite supply box comes in a set of 6 so you save. 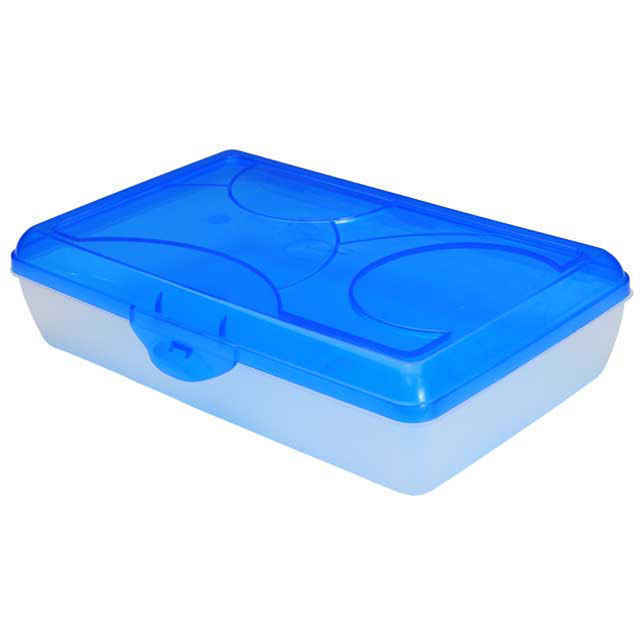 Buy the Sterilite school supply box wholesale and get your entire spaced organized.